If you’re from the Asia, surely you’re familiar with the online shopping website called Lazada. It’s basically where you can shop easily online, in cash or credit. You can even buy items for installment if you have a BDO account. When Lazada actually started, I was guessing that they’ll somehow and someday they’ll let people sell on their website. But I never thought that they’ll make a new website wherein sellers can sell their items to buyers, and that website is now called Lamido. 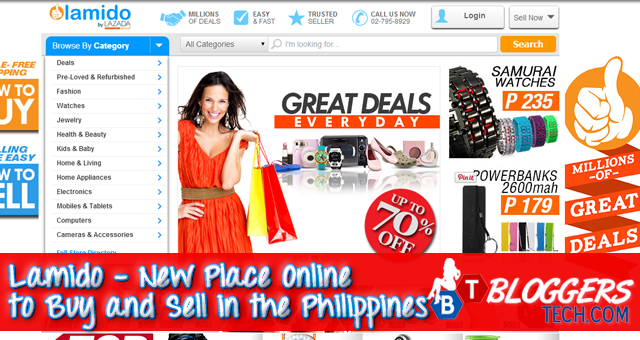 Lamido is a place online where you can have and do buy and sell in the Philippines. It’s totally similar with Lazada but there are of course some changes like people can sell items, and I think there’s no installment option but most of the transactions with the sellers are bank transfers but still the cash on delivery is still there. What’s best when you shop at Lamido? I’ve used other websites similar to Lamido, well actually Lamido is quiet similar already with the famous Amazon, so maybe the site will be our version of Amazon. Anyway, here are a couple of best things when you buy and shop at Lamido. Lots of item to choose from. What I love about Lamido is that there are a lot of items that you can choose from. I'm actually browsing the website before I'm writing this, and it took me hours. There are tons of items you can grab that will be really fun to use and I'm quiet curious to some - especially the AS SEEN ON TV products. Yes, I'm shopping! I'm actually thinking of creating a VIDEO segment here in the Bloggers Tech blog where I'll shop at Lamido, test the product, see how it works and share the whole thing with you guys through a video. It will be similar to this girl that's addicted to an infomercial and doing the "DOES THIS THING REALLY WORK?" on YouTube - but I'll not be as crazy as her. But then, I need money to buy products but donations are welcome if you want me to review it. Because there are a lot of sellers, there can be a lot of seller for one product. One may offer a great deal and let you save more, and I mean a lot more! Plus, there are also sellers that seems to have the same price with the malls, and there are some who do offer the product cheaper, but I'm not quiet sure if they're the same products or in the same quality. 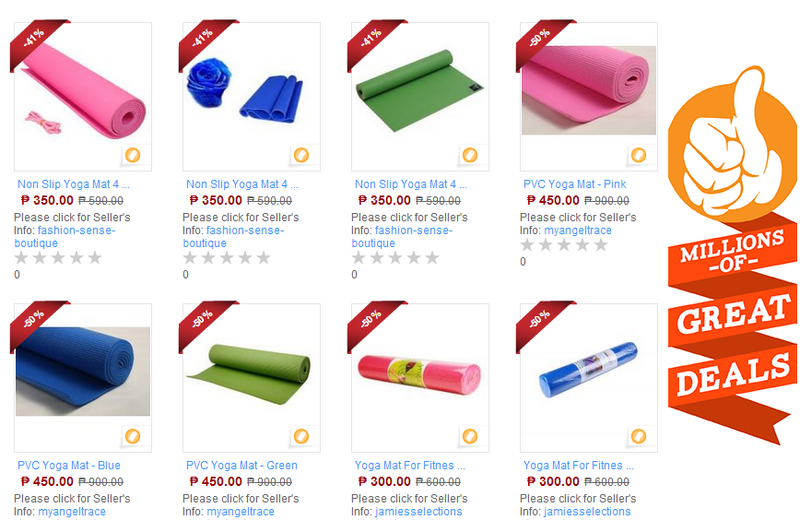 I've been trying to look for a Yoga mat, but because most of the stores I went to are selling it almost a thousand and that my sister told me there's a cheaper yoga mat I didn't buy it. But look at that! Lots of options on to where and whom to buy, are you going to go for the cheapest one or just the right price? As I mentioned, sellers can offer deals to attract more buyers to their store and for buyers to try out their product. It's actually my favorite section of the website, it's crazy! There are a lot of deals that I want to have but I have a limited budget here. So go ahead and check out the deals yourself, you might save yourself a lot for an item you've been dying to buy. Check out the deals! There are deals for rainy days, free shipping, As Seen on TV (my favorite!) and many more. Lots of items on sale! Oh, I love shopping and sale! How to sell at Lamido? 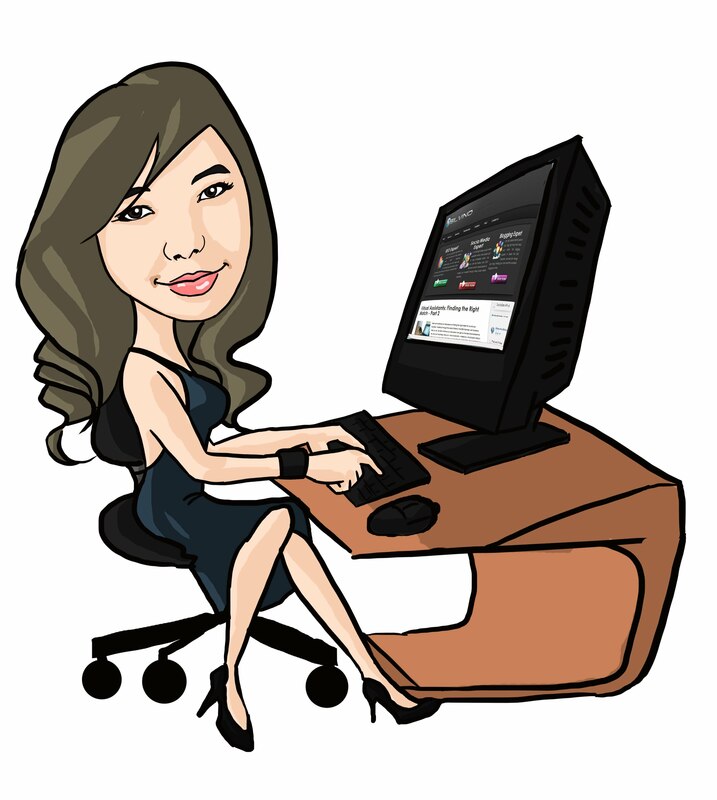 I was curious myself, I’ve heard that the buy and sell business is really good these days so this website might be just right in time in boosting your buy and sell business. This is a great opportunity to people who wants to do buy and sell in the Philippines or grab an opportunity to make money, then this is your chance! Use the site, sell items, or if you’re like me shop at the website. There are actually quite similar websites like this, even from other countries like China, but China has more items since they do have production there. But even though we already have websites like AyosDito and OLX as a buy and sell website, Lamido stands out since what’s sold at the website are more on items like what Lazada also sells – but there are also other products that Lamido have but Lazada don’t.